Playwell Martial Arts respects your privacy and your right to understand how your information will be handled and used. This Policy explains how we collect, use and store your information. Using your information in a way that you are comfortable with and keeping your information secure is an important aspect in the shopping experience we provide. Playwell Martial Arts will ensure that all information protection and customer legislation standards are met when handling any of your personal information. When you make a purchase online, we will collect necessary information about you to ensure we can fulfil your order. We may also need to ask for additional information from you to ensure that we comply with our legal obligations such as age restrictions applicable to the sale of swords and knives. All our online credit card transactions are handled directly via Paypal or BarclayCard’s secure online server meaning the information regarding your card details are seen only by you and BarclayCard. Click here to find out how BarclayCard use your personal data. If the customer chooses to pay with Paypal, please note that Playwell Martial Arts direct you to the the secure Paypal platform where you can enter your login details, to find out how Paypal use and secure your personal data click here. When you make special orders, your personal details are not passed onto any third parties, but the image or logo provided you have provided us. Where you have not made a purchase with Playwell Martial Arts during this two-year period, we will only continue to send you marketing communications where you expressly tell us that you want to. If you do nothing, then we will stop sending you marketing communications. 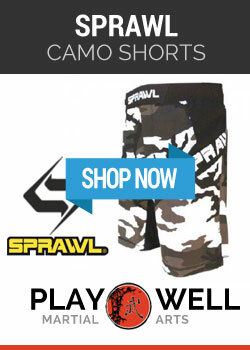 Where you have made a purchase with Playwell Martial Arts during this period, we will continue to communicate with you in the same way until you tell us otherwise. If you do nothing, we will assume that you are happy for Playwell Martial Arts to continue to send you marketing communications in the same way. If you have opted-in to receive marketing communications from us you can manage your preferences online at any time. We have created a Preference Centre where you can manage your marketing communications preferences and tell us what you want to hear about and how you want Playwell Martial Arts to communicate with you. When you visit playwell.co.uk, we collect information about your device to ensure we can the provide the very best of service and improve usability to benefit your online shopping experience. Information can be collected through your IP address or through cookies placed on your device. Some cookies are needed for the proper functioning of the website. Examples of where these cookies are used include: to store how many items are in your shopping bag, to determine anonymously when you are signed in, to determine which currency we should use based on your preferred delivery location when displaying prices to you, and to allow you to move back and forth between browser screens. Should you wish to know more about what information we hold about you including making changes to, or requesting the deletion of, information that we hold about you, you are also entitled by law to make a Data Subject Request. You can make such a request by emailing us at playwell1@aol.com (quoting “Data Subject Request”). Please note that we may need to exclude certain information as part of your request, e.g. in order to protect the privacy of other individuals or if we are permitted to exclude the information for legal or other reasons. We require all third parties that interact with information to undergo an Information Security Due Diligence Assessment to ensure that information is only shared where third parties have appropriate security measures in place. We will not share your information with any third parties who might wish to market their goods and services to you unless you have provided your consent. Playwell Martial Arts does not routinely share information outside of the European Economic Area (EEA). If it is necessary, we will only do so with the relevant protection in line with data protection legislation requirements. request copies of, and/or access to your personal information. How Long Will Playwell Martial Arts Keep My Information? Playwell Martial Arts is committed to keeping your personal information only for so long as is necessary or where we have a legitimate interest to continue doing so. Where Playwell Martial Arts no longer requires information to be in a format where you can be identified personally, e.g. where we keep information for analytical and research purposes or transaction information, we will remove any personal details about you. If you do not have a Playwell Martial Arts Online account, but you have signed up to receive Playwell Martial Arts’ marketing communications, then Playwell Martial Arts will only retain your information for as long as we have your consent to send you marketing (See Marketing and Promotions above). When you contact Playwell Martial Arts through any channel (including by phone, post, email or social media), we will collect information about you in order to respond to your query, request or feedback. Please note we will never contact you by email to ask you to send or confirm any of your personal details, if we need any information of this nature we will only contact you by telephone. We advise you never send any sensitive information, such as passwords or credit card information, via email. Where you have chosen to create a password to access certain parts of our website, you are responsible for keeping this password confidential. We request you not to share a password with anyone. 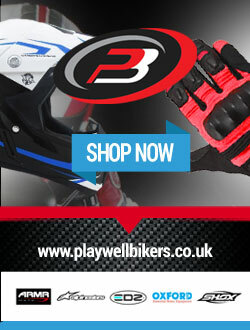 For additional information, please do not hesitate to contact playwell1@aol.com or call 0208 810 9449.